Pain is the one of the biggest reasons patients seek the help of a physician. When you go to your physician's office for a visit, they generally take your vital signs. These vital signs include your heart rate, blood pressure, respiratory rate, and temperature. Physicians specially trained in managing pain (Pain Management Specialists) have emphasized the importance of treating pain as a fifth vital sign. These pain management specialists have been including pain questionnaires and rating scales with each doctor visit for some time, and they believe that patients who suffer from pain should always have their pain assessed on these scales. Since pain is impossible to "see", it is important that physicians have some kind of a benchmark that can help them to document the level of each patients pain and how that pain changes over time in order to help them in properly treating their patients. When it comes to pain, it is important to understand that pain specialists categorize pain into two broad categories – acute and chronic pain. Acute pain is considered as any pain that lasts for less than 3 months. This is an arbitrary designation meant to refer to the immediate pain after a specific event, usually injury. 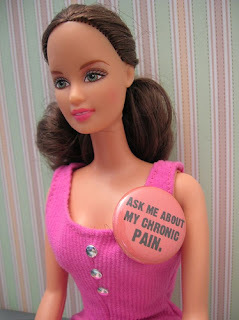 Pain that lasts longer than 3 months is considered to fall into the category of chronic pain. The reason that physicians make this distinction is because the way the human body manages acute pain can be different from the way it manages chronic pain. While acute pain will generally resolve once the acute injury is healed (or physical problem repaired), chronic pain can lead to the nervous system (brain and spinal cord) actually creating reflex pathways that perpetuate the feeling of pain even after the initial triggering event has been removed. Thus, these reflex pathways may continue to signal pain in the brain despite the resolution of the acute injury or problem. According to a yearly survey done by the USDA, 98% of conventionally grown (not counting organic) apples contain at least one pesticide. In fact, of the 700 apples tested, there were 48 different types of pesticides found. Also high on the USDA list with at least 90% of samples containing pesticides were grapes, cilantro, potatoes, and spinach. All produce was washed (10 seconds under cold water) and, where applicable, peeled prior to testing, as to better simulate consumer consumption. Pesticides - Agriculture's Modern Day "Snake Oil"
Pesticides are the ONLY class of toxic materials that are intentionally introduced into the environment to kill or damage living organisms. 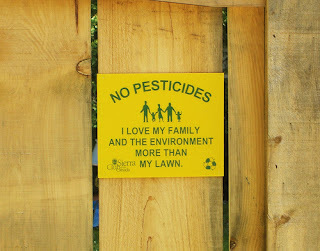 Make no mistake, pesticides are chemicals which are designed to kill. There are two major classes of pesticides -- insecticides and herbicides. Insecticides are meant to kill insects that may eat parts of a crop. Herbicides are meant to kill off weeds or other plants that compete for nutrients and water from the soil, which can cause plants to grow slower. While many of the newer pesticides are better targeted at specific pests, this is not always the case. DDT was used (and still is in many places in the world) to eliminate mosquitos, but has a devastating effect on many bird species -- almost making California Condors extinct. There has never been enough testing done on pesticides before they are approved for use to foresee every possible effect of their widespread use. Newer insecticides (notably clothianidin and imidacloprid) have recently come under fire for their deleterious effects on bee populations, called “non target organisms” by the manufacturers. History has shown us that these chemicals that are designed to kill pests often end up killing and damaging far more than was ever intended. The danger remains that even humans are “non target organisms” and human exposure to pesticides has been shown to cause severe illness or even death. Over 300,000 farm workers are treated for pesticide related illnesses every year. 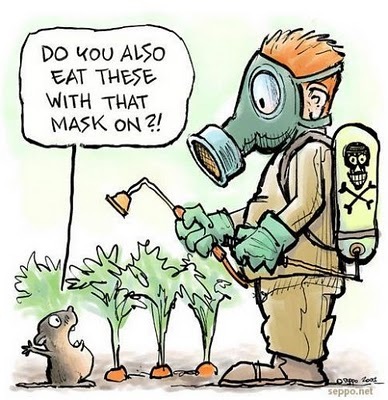 The notion that “pest control” only means high doses of dangerous and deadly chemicals (pesticides) is one promoted by the businesses that make and sell them. The pesticide manufacturers tell farmers that they “need” these chemicals because there is no other way to protect their crops, and this is a lie of marketing. In fact, there are many different integrated pest management (IPM) programs in place around the world that are extremely successful, which have little to no pesticide use at all.